You are here: Home > Motorola And Magenta Marrying On September 10th? Motorola And Magenta Marrying On September 10th? Sascha Segan over at PC Mag (via Gearlog) has posted up an interesting theory on why he feels the Motorola event will be a T-mobile based launch. Through the simple process of elimination, Sascha explains one of the standout reasons. One of the keynote speakers is our dear overlord, T-mobile CTO Cole Brodman. Other factors such as details that Verizon and Sprint are either stating to be missing the event altogether, and with AT&T playing coy, all signs point to our beloved magenta. Motorola is hedging its bets on the Android game, T-mobile is betting serious money on Android so perhaps a match made in heaven? More importantly of course, is another question, what device will be shown? The Morrison? Will more than one device be offered up for our viewing and hands on pleasure? In any event, nine days and counting till we have our answers. 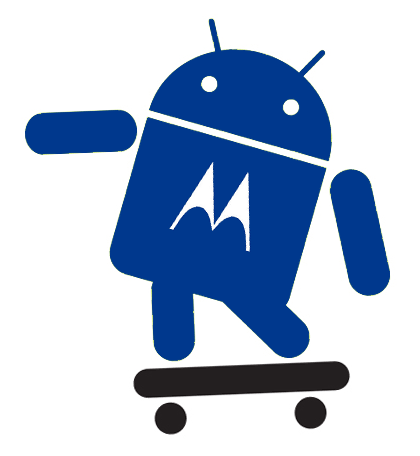 Until then we wait and see just how bad Motorola wants back in the game and if they are really bringing their big guns. I hope it Moto offers a great Android Phone on Tmob, I would really like to be able to buy a US product (even if manufactured offshore). ok so tmo has seen that android is a money maker for then, now they just have to get some killer phone designs. i think handset design is where tmo is lacking right now, if they button that down they will climb to number three or dare i say number two in top mobile carrier.